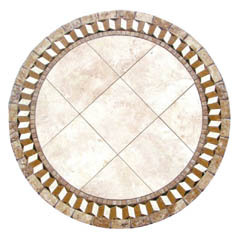 The pictures shown below are only examples of each design that is available for this bistro tables. 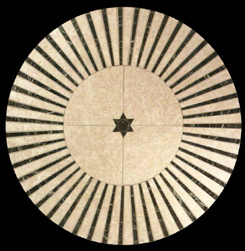 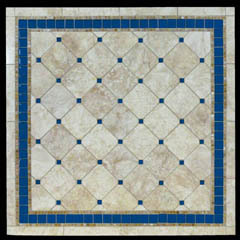 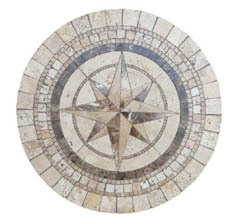 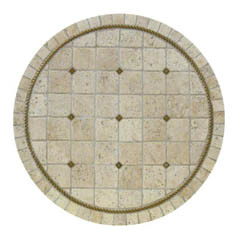 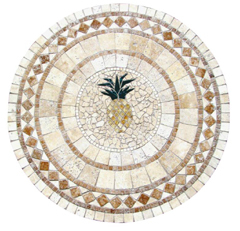 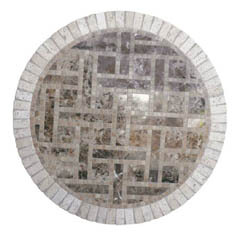 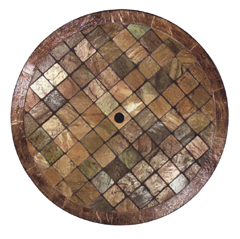 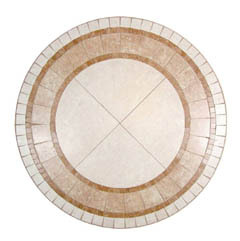 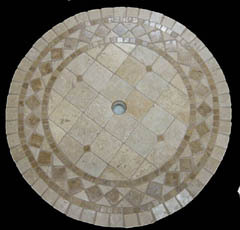 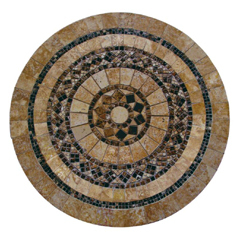 The actual table top can be crafted into any of over a dozen different sizes and shapes, allowing you to create a table that is round, square, oval, or rectangular in design, crafted based on the mosaic pattern of your choice. 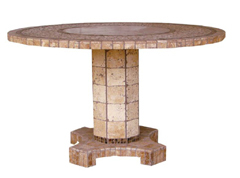 A stunning wash of copper colored tones captured in pure mountain born stone, shimmering with reflective properties, this is a bistro table that has both power, and prestige. 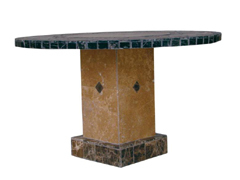 Our line of natural stone tables can be further customized to include a shimmering ring of illuminated onyx, a translucent stone that can add a glowing night light to your bistro table surface. 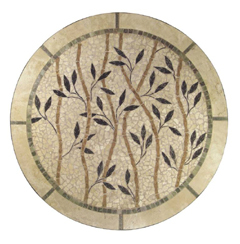 The surface of this intricate bistro table top is a sign of hope, and renewal, an image of sprouting leaves bursting forth from twining branches, bringing life, beauty, and natural wonder into the world. 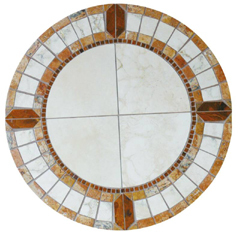 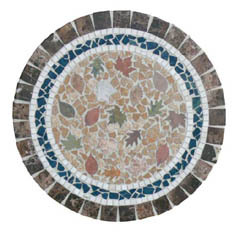 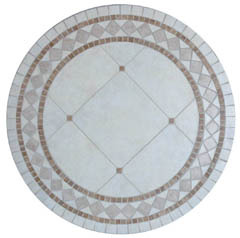 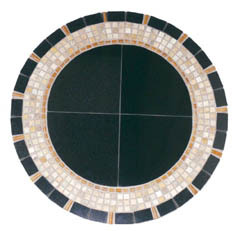 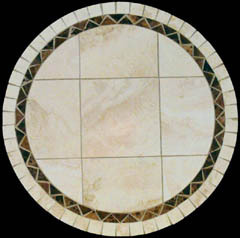 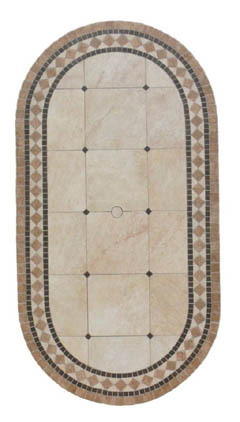 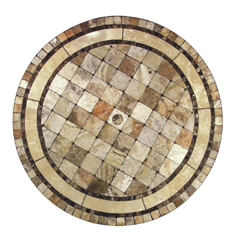 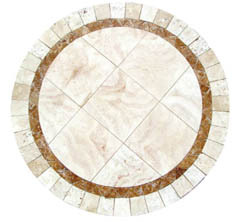 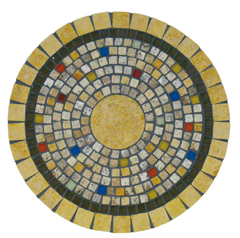 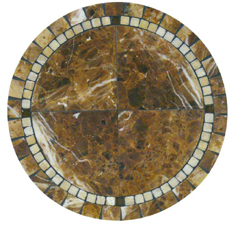 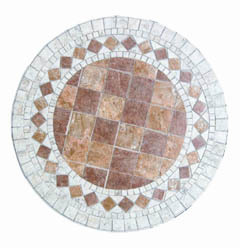 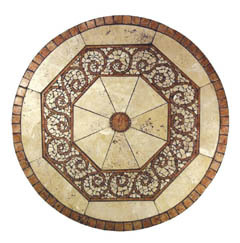 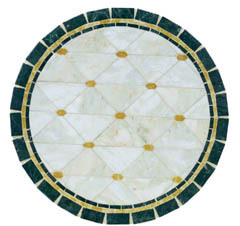 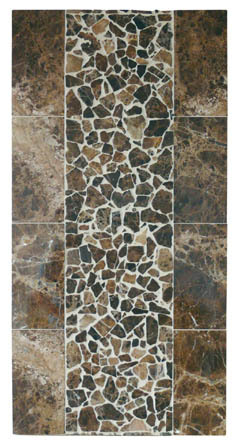 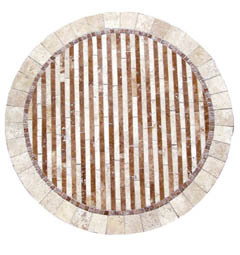 This bistro table top design is a powerful mix of contrasting hues, a bright white centerpiece bordered by amber medallions that splash color and interest across the surface of the mosaic design. 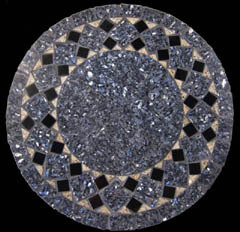 A beautiful and powerful piece designed to evoke a sense of energy and prestige. 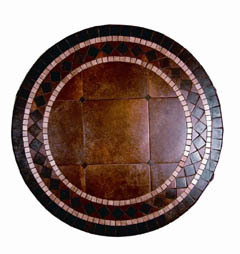 Bistro tables are customizable into your choice of size and shape. 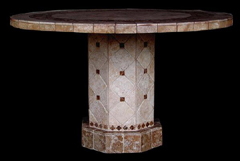 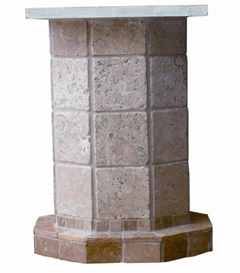 Our bistro tables are some of the lightest available because we only use a thin natural stone veneer, adhered to a space age, light weight core which is highly durable, water proof, and resistant to the elements. 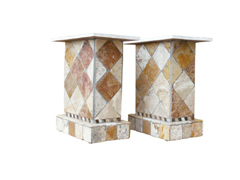 This means that you can easily move and transport these tables throughout your home and garden.